What’s better than helping a client win a major national award? Helping a client win TWO major national awards! CIG client the Colorado Department of Transportation (CDOT) took home two national awards for excellence in transportation communications during this year’s TransComm Annual Meeting – a subcommittee of the American Association of State Highway and Transportation Officials (AASHTO). One was the coveted Excel Award, the highest possible award at TransComm, for CDOT’s The Cannabis Conversation — a multi-faceted campaign that used several public relations strategies to drive public engagement, allowing CDOT to listen and learn from the community regarding perceptions of and solutions to marijuana-impaired driving. CDOT’s Flood Recovery Office also took home an award for its exceptional public involvement and outreach on the US 34 Permanent Repairs Project – another CIG-supported project that was highly collaborative and unique in how it approached stakeholder communications and traffic management on a challenging corridor damaged by the 2013 floods. 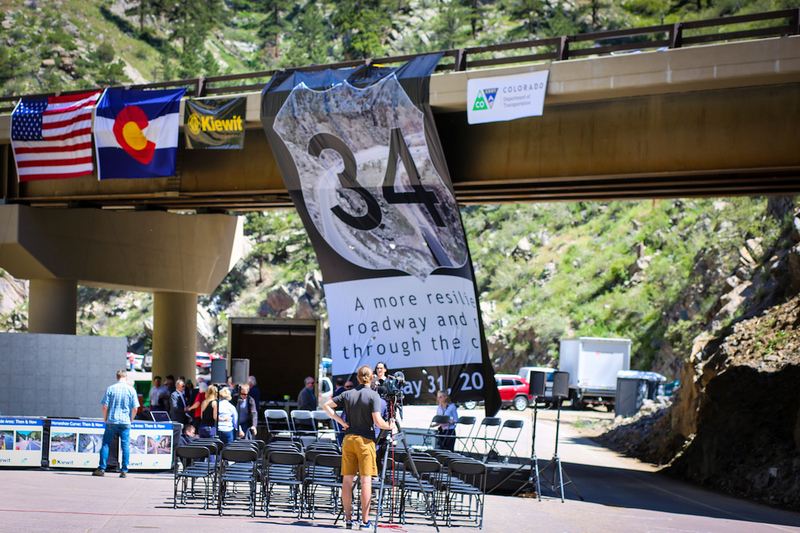 Cheers to CDOT and these amazing projects, as well as all the partners that worked together to make them possible! CIG makes the final preparations for the ceremony to celebrate the reopening of US 34. 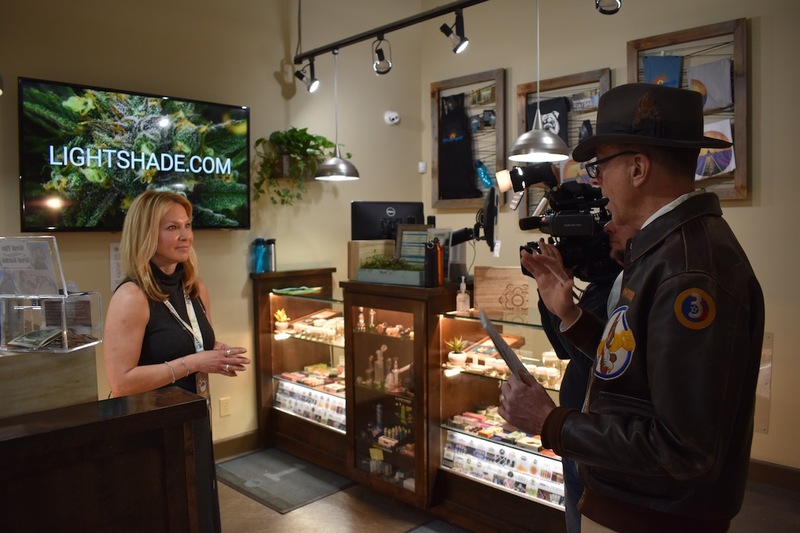 A representative from Lightshade dispensary talks to the media as part of CDOT's The Cannabis Conversation campaign. CIG managed media relations for the campaign.